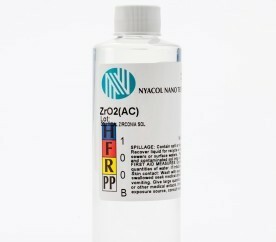 NYACOL® offers colloidal zirconium oxide as pure zirconia and as a mixture with yttria as 4 and 6 mol%. The particle size ranges from 10 nm for zirconia acetate and Zr10/15, up to 100 nm for Zr100/20. 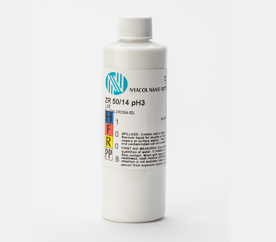 A negative charged alkaline sol is also available as Zr10/20NH4. These products are designed for use as a high-temperature refractory, and as a ceramic binder with or without yttria as a stabilizer. This product is supplied at alkaline pH and is a binder for casting of titanium alloys and other refractory products and ceramics. 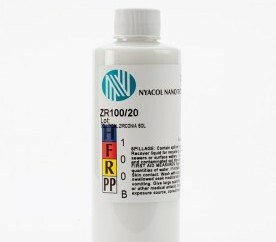 For use as a sintering control agent for precious metal paste formulations. 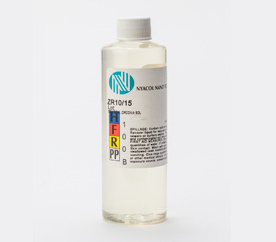 For use as a binder in ceramic and catalyst applications and an anti-scuff agent on glass. It also provides a high index of refraction for coatings and excellent transparency as a result of the small particle size.